In the rough-and-tumble world of law enforcement, controversy is never a hard thing to find. But ordinarily what a boss decides to wear to work doesn’t create the kind of backlash currently being experienced by the new head of the Pennsylvania State Police. Col. Marcus Brown has served as a patrol officer, a SWAT commander and the second-in-command of the Baltimore police. He’s also led the Maryland Transportation Authority and the Maryland State Police. But a group of retired state troopers has a big problem with Brown wearing a Pennsylvania trooper’s uniform. In addition to the poor choice of attire (the uniform of the agency he’s running), many of the retired state troopers worry that Brown is a closet liberal with a gun-control agenda. “There’s a lot of people both inside the department and outside the department who deeply resent Marcus Brown being appointed for a variety of reasons,” retired trooper Charles Cusanno told the Pittsburgh Post Gazette. “The Pennsylvania State Police has a very strong history and tradition, and the uniform plays an important role in that,” Col. Brown said. “I wear the uniform to honor the troopers that are out fighting crime every single day. But that’s apparently not appropriate for an outsider. The unhappy retired troopers say that the previous police commissioner, Frank Noonan, a former FBI and attorney general’s office investigator, chose to wear a suit. 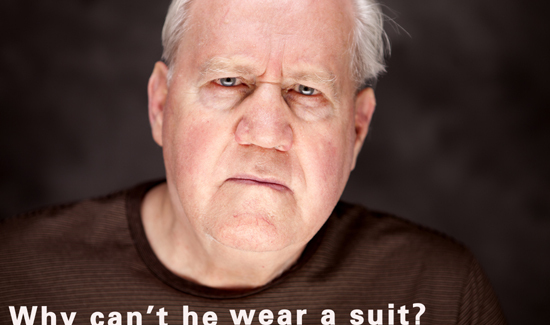 I’ll have to agree with the article ‘wear a suit, dude’. Having served 30 years on 2 different departments I see it as an Honor to wear the department issue uniform, But that Honor Must be Earned. This is an affront to the Troopers who serve, served and to those who gave all. If the Governor wanted a uniform wearing Chief then a promotion from within would have been appropriate. Maryland is NOT Pennsylvania, and this appointment reeks of Politics. A Political Agenda cannot be Disguised in a Uniform.